Of all the things that could be obsessed about, sausages may not be the most expected. But one taste of Orsini’s sausage and you’ll understand why three generations of our family have devoted themselves to this marvelous food. 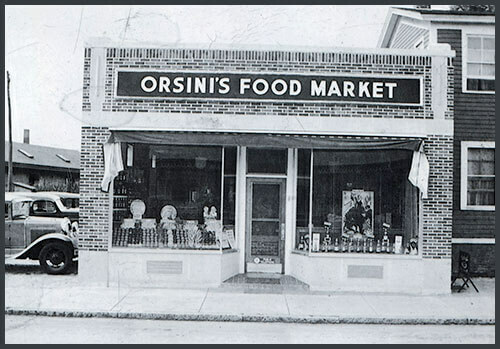 It all began in 1933 when Matt Orsini would make a small batch of sausage in his kitchen. the recipe brought back from Italy by his uncle. Matt would carefully grind fresh pork by hand, mix it with chopped herbs he grew in his garden, and give his creations to friends and family. We haven’t changed a thing since 1933, We use the freshest pork and spices along with the original recipe brought from Italy. In all of our sausage varieties, the spices we add serve to bring out the subtle flavor of the meat, not overwhelm it. NO fillers, NO preservatives or MSG are ever added to our sausage. Orsini’s sausages come in several varieties and packaging. Please email us @ sales@orsinsausage.com for wholesale product information. Copyright 2019 Amleto, LLC | All Rights Reserved | Website powered by Omega Communications Inc.